Switch is the sequel to Rowena Evans’ novel, Drums and Power Lines. Zeke Hailey is struggling with life at the Chasm, the 23rd century school for psychics. His extrasensory skills have dried up and there’s a prehistoric robot out to kill him. Zeke and his new friend Fitch team up with an old foe, setting off on a Martian road trip. But this search for answers will bring them face to face with monsters and, most dangerous of all, a demon from beyond time. They say the truth can set you free. Yet on Mars the truth can kill. Zeke Hailey is happy enough at the Chasm, the 23rd century school for psychics. But an answer to a secret throws his life into chaos. Now Zeke must choose between his friends and his missing father. Mars, however, isn’t ready to let him go. 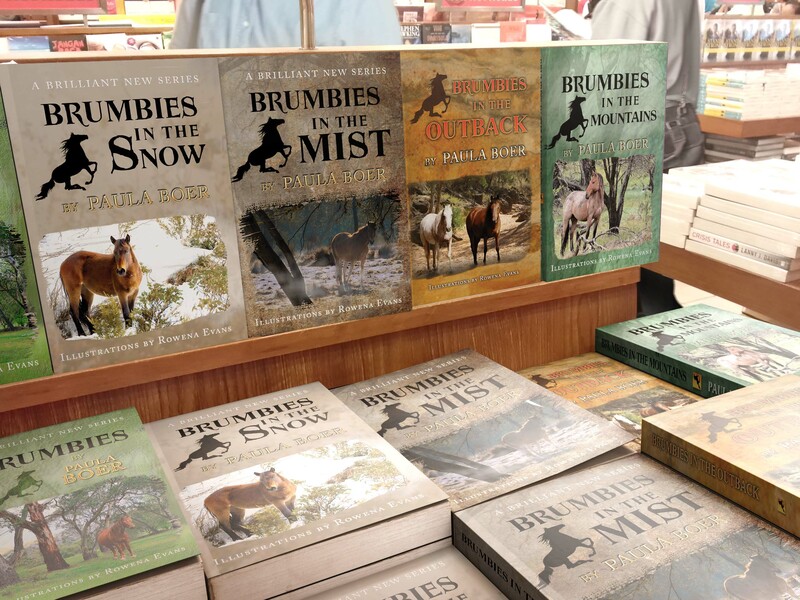 This five-volume Brumbies series follows the adventures of Louise and Ben, and their love of the rugged mountains where the wild brumbies roam. Through floods and illegal culling of the horses, winter storms and hardy endurance riding, these stories will delight and excite young readers. For ages 10 to 14.